Methods based on representation learning currently hold the state-of-the-art in many natural language processing and knowledge base inference tasks. Yet, a major challenge is how to efficiently incorporate commonsense knowledge into such models. A recent approach regularizes relation and entity representations by propositionalization of first-order logic rules. However, propositionalization does not scale beyond domains with only few entities and rules. In this paper we present a highly efficient method for incorporating implication rules into distributed representations for automated knowledge base construction. We map entity-tuple embeddings into an approximately Boolean space and encourage a partial ordering over relation embeddings based on implication rules mined from WordNet. 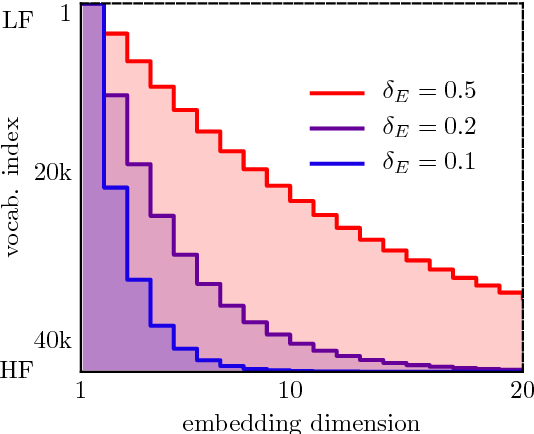 Surprisingly, we find that the strong restriction of the entity-tuple embedding space does not hurt the expressiveness of the model and even acts as a regularizer that improves generalization. 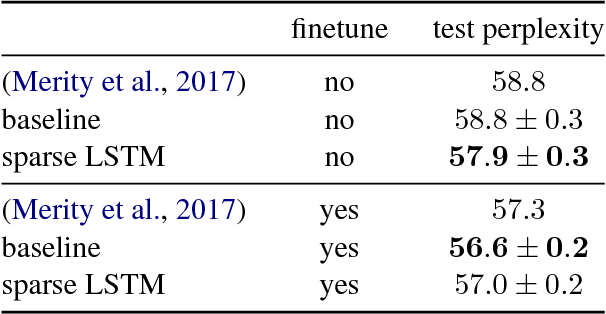 By incorporating few commonsense rules, we achieve an increase of 2 percentage points mean average precision over a matrix factorization baseline, while observing a negligible increase in runtime. 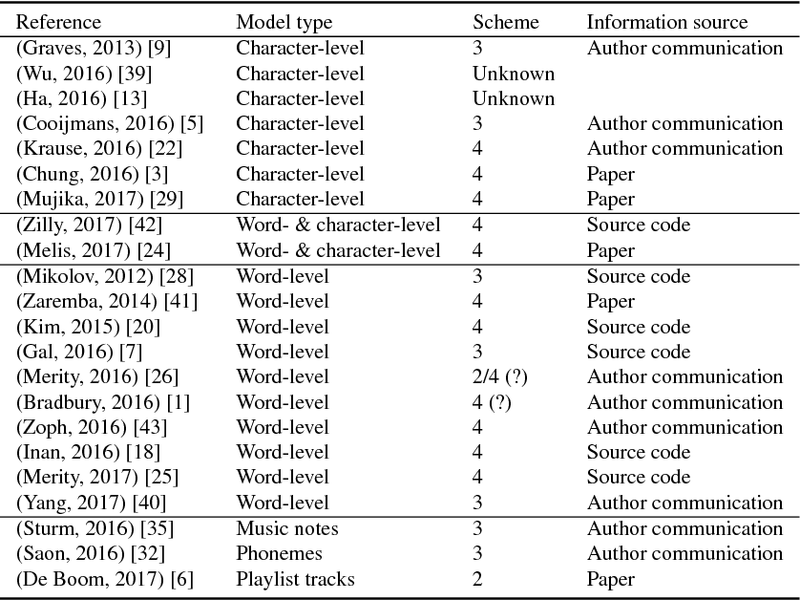 This paper introduces improved methods for sub-event detection in social media streams, by applying neural sequence models not only on the level of individual posts, but also directly on the stream level. Current approaches to identify sub-events within a given event, such as a goal during a soccer match, essentially do not exploit the sequential nature of social media streams. We address this shortcoming by framing the sub-event detection problem in social media streams as a sequence labeling task and adopt a neural sequence architecture that explicitly accounts for the chronological order of posts. 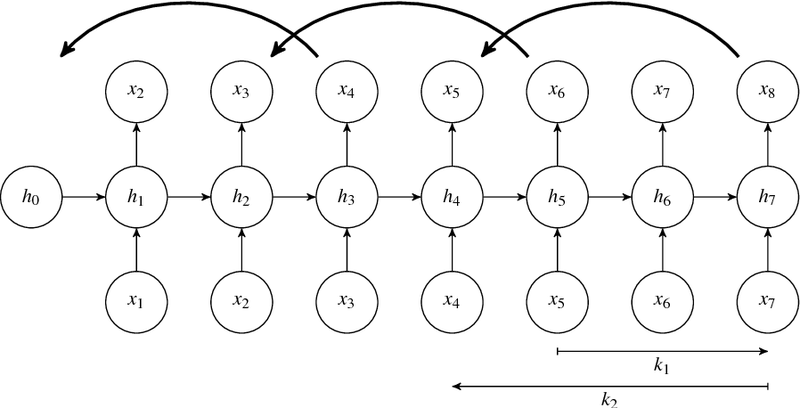 Specifically, we (i) establish a neural baseline that outperforms a graph-based state-of-the-art method for binary sub-event detection (2.7% micro-F1 improvement), as well as (ii) demonstrate superiority of a recurrent neural network model on the posts sequence level for labeled sub-events (2.4% bin-level F1 improvement over non-sequential models). Inducing sparseness while training neural networks has been shown to yield models with a lower memory footprint but similar effectiveness to dense models. However, sparseness is typically induced starting from a dense model, and thus this advantage does not hold during training. We propose techniques to enforce sparseness upfront in recurrent sequence models for NLP applications, to also benefit training. 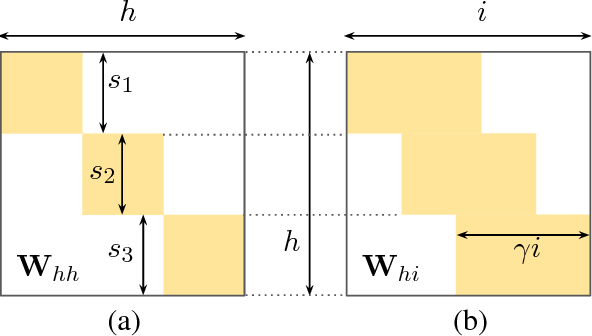 First, in language modeling, we show how to increase hidden state sizes in recurrent layers without increasing the number of parameters, leading to more expressive models. 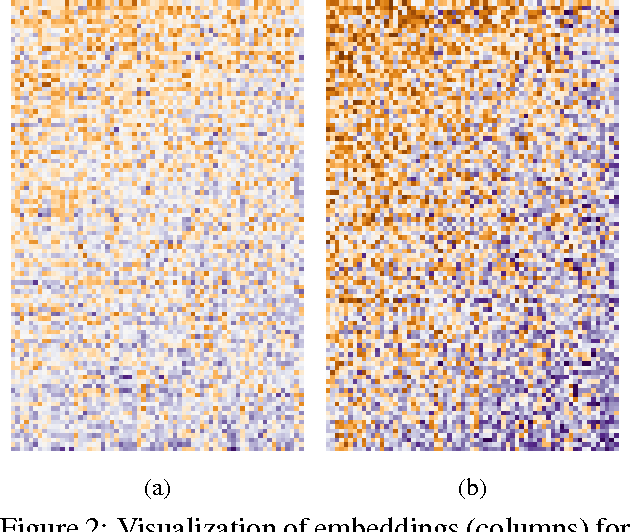 Second, for sequence labeling, we show that word embeddings with predefined sparseness lead to similar performance as dense embeddings, at a fraction of the number of trainable parameters. Adversarial training (AT) is a regularization method that can be used to improve the robustness of neural network methods by adding small perturbations in the training data. We show how to use AT for the tasks of entity recognition and relation extraction. 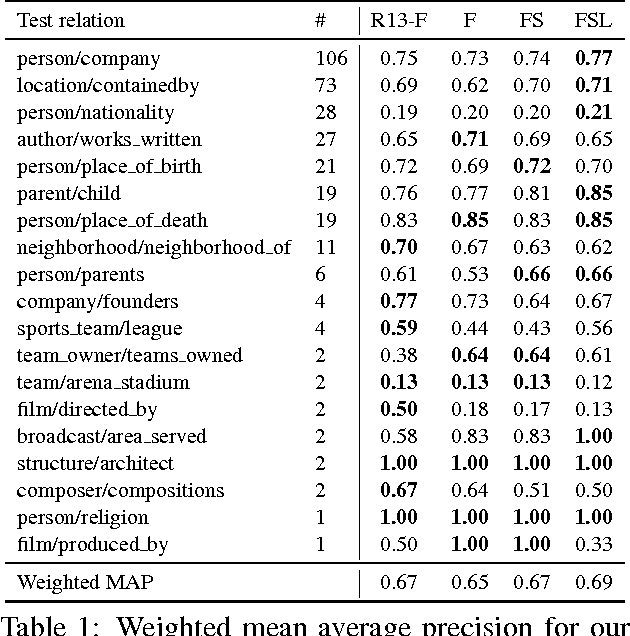 In particular, we demonstrate that applying AT to a general purpose baseline model for jointly extracting entities and relations, allows improving the state-of-the-art effectiveness on several datasets in different contexts (i.e., news, biomedical, and real estate data) and for different languages (English and Dutch). State-of-the-art models for joint entity recognition and relation extraction strongly rely on external natural language processing (NLP) tools such as POS (part-of-speech) taggers and dependency parsers. 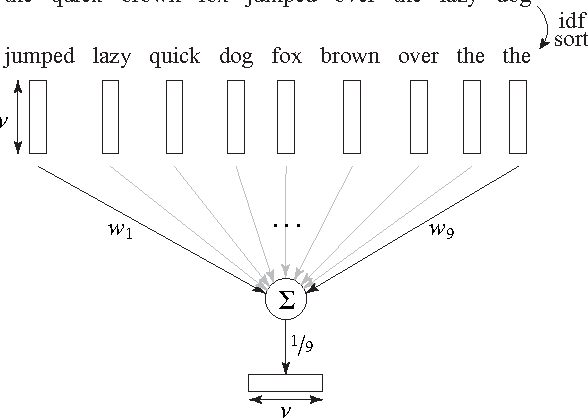 Thus, the performance of such joint models depends on the quality of the features obtained from these NLP tools. However, these features are not always accurate for various languages and contexts. In this paper, we propose a joint neural model which performs entity recognition and relation extraction simultaneously, without the need of any manually extracted features or the use of any external tool. Specifically, we model the entity recognition task using a CRF (Conditional Random Fields) layer and the relation extraction task as a multi-head selection problem (i.e., potentially identify multiple relations for each entity). We present an extensive experimental setup, to demonstrate the effectiveness of our method using datasets from various contexts (i.e., news, biomedical, real estate) and languages (i.e., English, Dutch). Our model outperforms the previous neural models that use automatically extracted features, while it performs within a reasonable margin of feature-based neural models, or even beats them. We extend sequence-to-sequence models with the possibility to control the characteristics or style of the generated output, via attention that is generated a priori (before decoding) from a latent code vector. After training an initial attention-based sequence-to-sequence model, we use a variational auto-encoder conditioned on representations of input sequences and a latent code vector space to generate attention matrices. 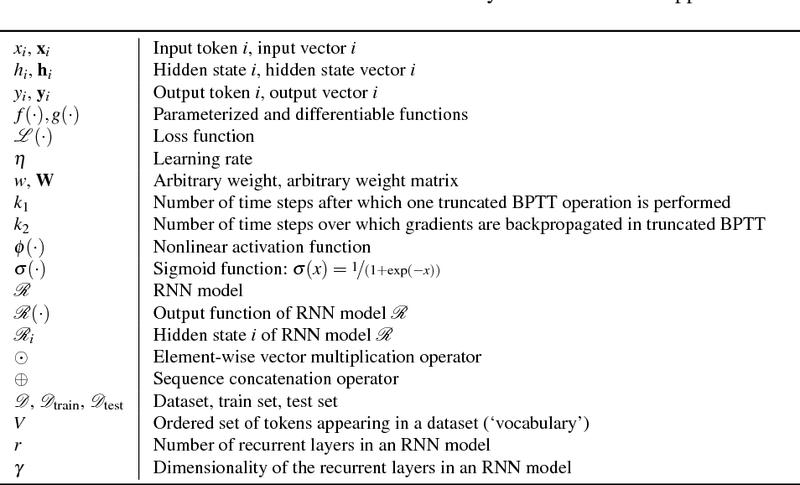 By sampling the code vector from specific regions of this latent space during decoding and imposing prior attention generated from it in the seq2seq model, output can be steered towards having certain attributes. 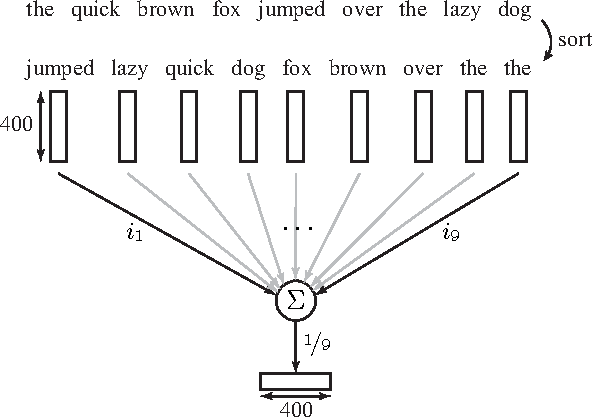 This is demonstrated for the task of sentence simplification, where the latent code vector allows control over output length and lexical simplification, and enables fine-tuning to optimize for different evaluation metrics. 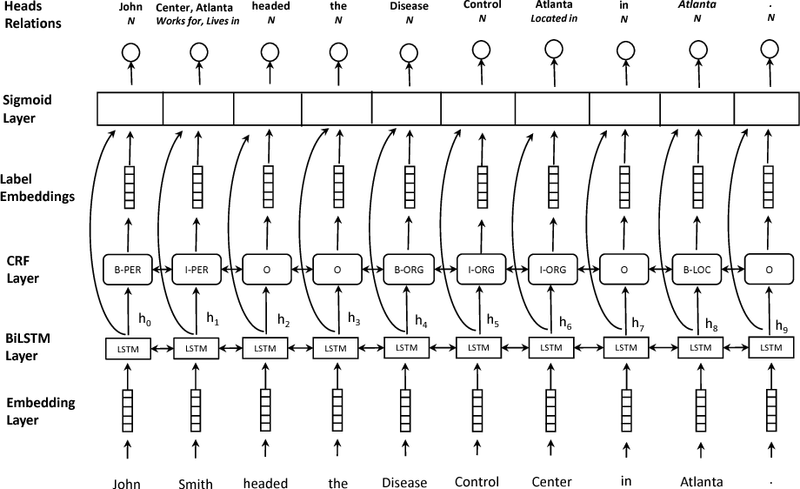 In processing human produced text using natural language processing (NLP) techniques, two fundamental subtasks that arise are (i) segmentation of the plain text into meaningful subunits (e.g., entities), and (ii) dependency parsing, to establish relations between subunits. In this paper, we develop a relatively simple and effective neural joint model that performs both segmentation and dependency parsing together, instead of one after the other as in most state-of-the-art works. We will focus in particular on the real estate ad setting, aiming to convert an ad to a structured description, which we name property tree, comprising the tasks of (1) identifying important entities of a property (e.g., rooms) from classifieds and (2) structuring them into a tree format. In this work, we propose a new joint model that is able to tackle the two tasks simultaneously and construct the property tree by (i) avoiding the error propagation that would arise from the subtasks one after the other in a pipelined fashion, and (ii) exploiting the interactions between the subtasks. For this purpose, we perform an extensive comparative study of the pipeline methods and the new proposed joint model, reporting an improvement of over three percentage points in the overall edge F1 score of the property tree. Also, we propose attention methods, to encourage our model to focus on salient tokens during the construction of the property tree. 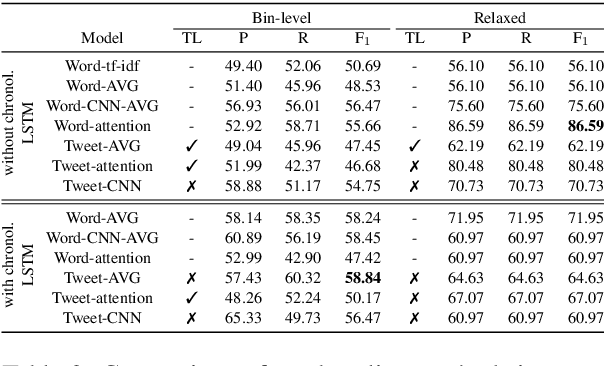 Thus we experimentally demonstrate the usefulness of attentive neural architectures for the proposed joint model, showcasing a further improvement of two percentage points in edge F1 score for our application. In adversarial training, a set of models learn together by pursuing competing goals, usually defined on single data instances. However, in relational learning and other non-i.i.d domains, goals can also be defined over sets of instances. 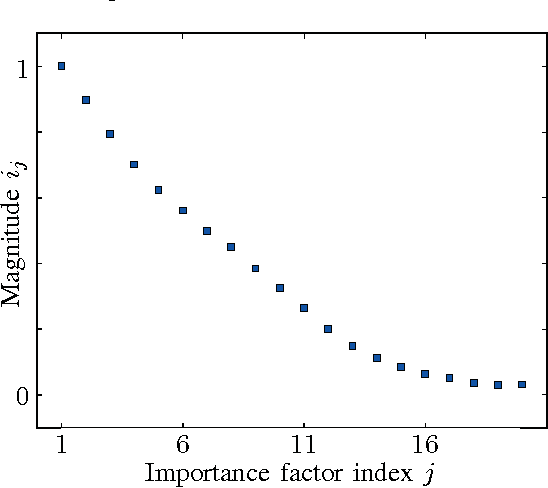 For example, a link predictor for the is-a relation needs to be consistent with the transitivity property: if is-a(x_1, x_2) and is-a(x_2, x_3) hold, is-a(x_1, x_3) needs to hold as well. Here we use such assumptions for deriving an inconsistency loss, measuring the degree to which the model violates the assumptions on an adversarially-generated set of examples. 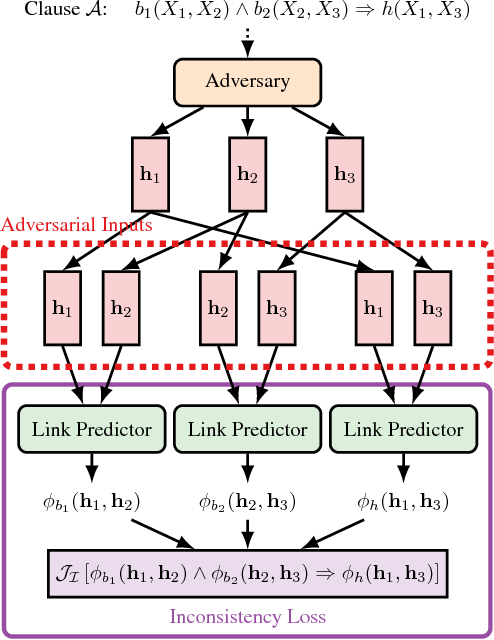 The training objective is defined as a minimax problem, where an adversary finds the most offending adversarial examples by maximising the inconsistency loss, and the model is trained by jointly minimising a supervised loss and the inconsistency loss on the adversarial examples. This yields the first method that can use function-free Horn clauses (as in Datalog) to regularise any neural link predictor, with complexity independent of the domain size. 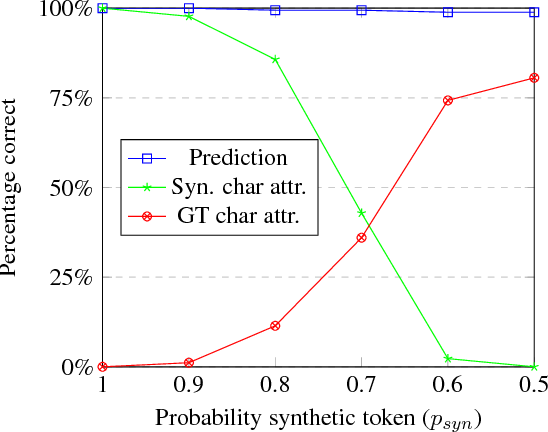 We show that for several link prediction models, the optimisation problem faced by the adversary has efficient closed-form solutions. 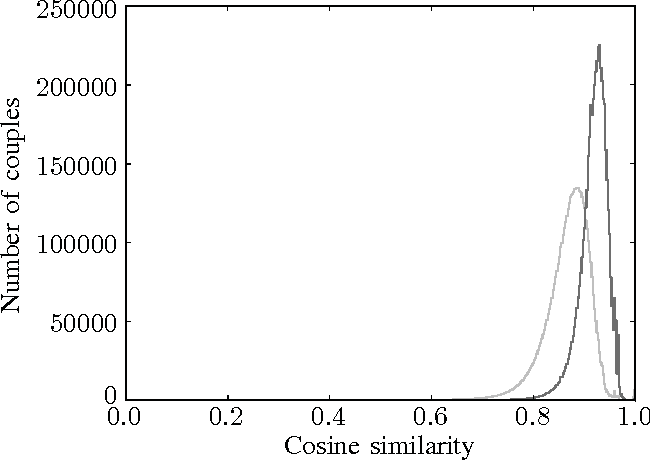 Experiments on link prediction benchmarks indicate that given suitable prior knowledge, our method can significantly improve neural link predictors on all relevant metrics. A crucial aspect of a knowledge base population system that extracts new facts from text corpora, is the generation of training data for its relation extractors. In this paper, we present a method that maximizes the effectiveness of newly trained relation extractors at a minimal annotation cost. 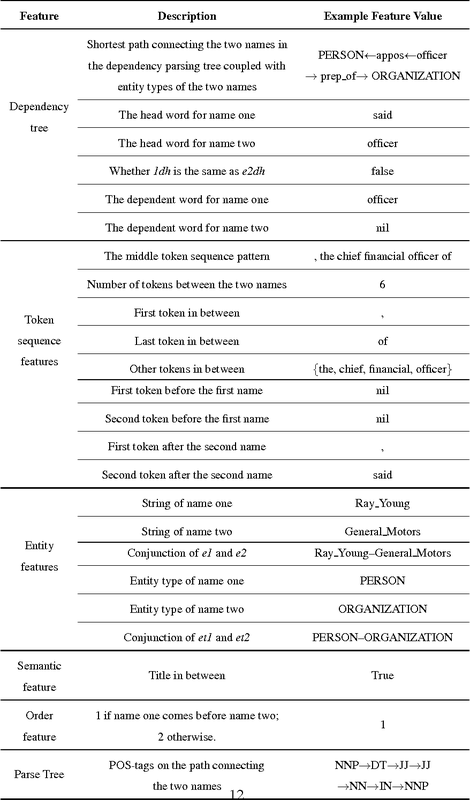 Manual labeling can be significantly reduced by Distant Supervision, which is a method to construct training data automatically by aligning a large text corpus with an existing knowledge base of known facts. For example, all sentences mentioning both 'Barack Obama' and 'US' may serve as positive training instances for the relation born_in(subject,object). 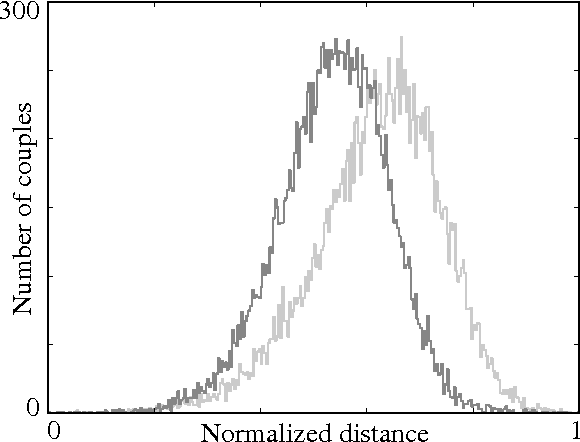 However, distant supervision typically results in a highly noisy training set: many training sentences do not really express the intended relation. We propose to combine distant supervision with minimal manual supervision in a technique called feature labeling, to eliminate noise from the large and noisy initial training set, resulting in a significant increase of precision. We further improve on this approach by introducing the Semantic Label Propagation method, which uses the similarity between low-dimensional representations of candidate training instances, to extend the training set in order to increase recall while maintaining high precision. Our proposed strategy for generating training data is studied and evaluated on an established test collection designed for knowledge base population tasks. 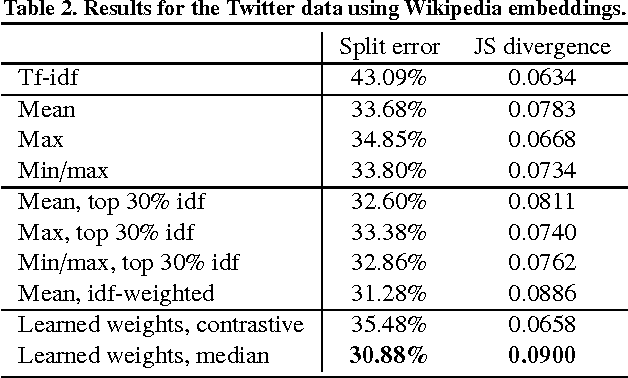 The experimental results show that the Semantic Label Propagation strategy leads to substantial performance gains when compared to existing approaches, while requiring an almost negligible manual annotation effort. Comprehending lyrics, as found in songs and poems, can pose a challenge to human and machine readers alike. This motivates the need for systems that can understand the ambiguity and jargon found in such creative texts, and provide commentary to aid readers in reaching the correct interpretation. We introduce the task of automated lyric annotation (ALA). Like text simplification, a goal of ALA is to rephrase the original text in a more easily understandable manner. However, in ALA the system must often include additional information to clarify niche terminology and abstract concepts. To stimulate research on this task, we release a large collection of crowdsourced annotations for song lyrics. We analyze the performance of translation and retrieval models on this task, measuring performance with both automated and human evaluation. We find that each model captures a unique type of information important to the task. 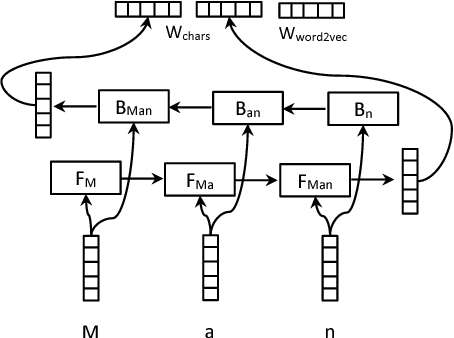 Explaining Character-Aware Neural Networks for Word-Level Prediction: Do They Discover Linguistic Rules? Character-level features are currently used in different neural network-based natural language processing algorithms. 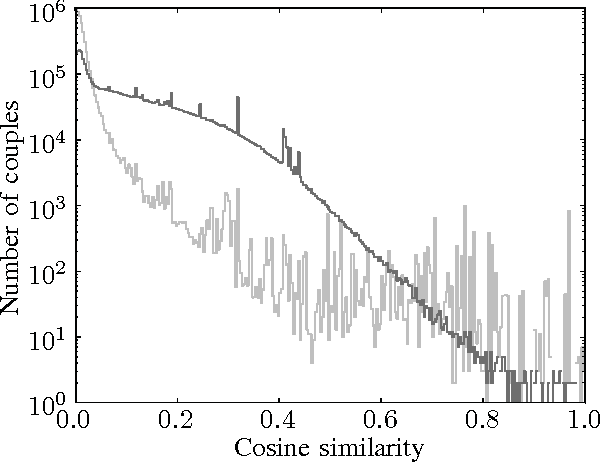 However, little is known about the character-level patterns those models learn. Moreover, models are often compared only quantitatively while a qualitative analysis is missing. 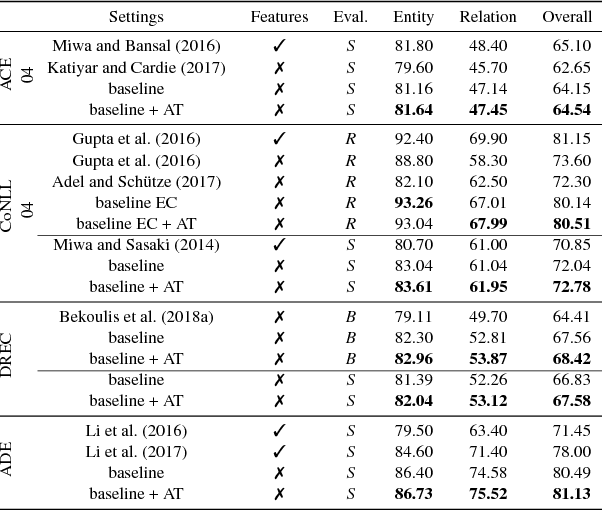 In this paper, we investigate which character-level patterns neural networks learn and if those patterns coincide with manually-defined word segmentations and annotations. 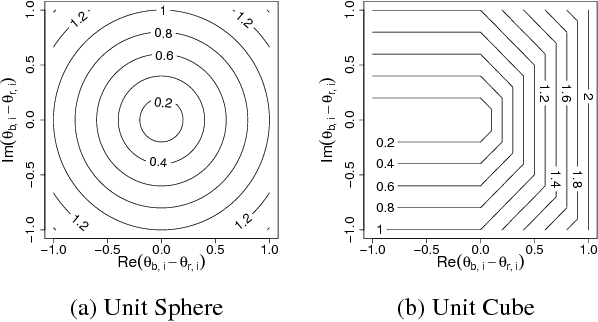 To that end, we extend the contextual decomposition technique (Murdoch et al. 2018) to convolutional neural networks which allows us to compare convolutional neural networks and bidirectional long short-term memory networks. We evaluate and compare these models for the task of morphological tagging on three morphologically different languages and show that these models implicitly discover understandable linguistic rules. Our implementation can be found at https://github.com/FredericGodin/ContextualDecomposition-NLP . 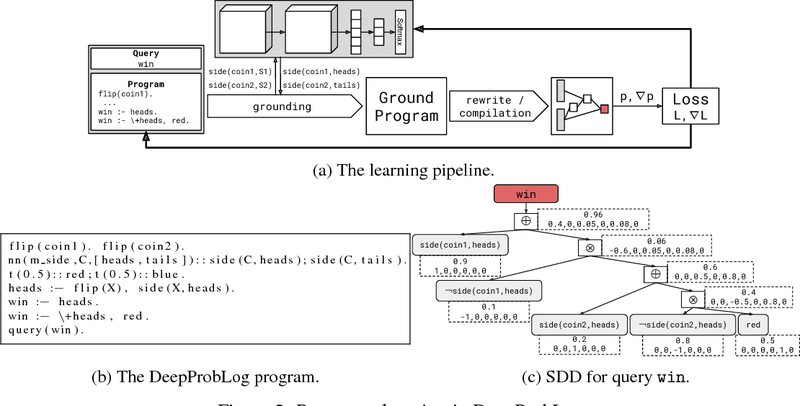 We introduce DeepProbLog, a probabilistic logic programming language that incorporates deep learning by means of neural predicates. 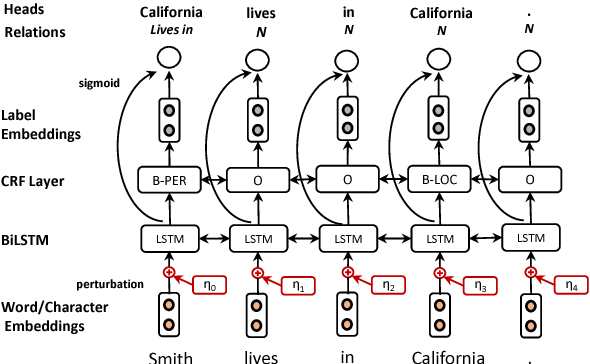 We show how existing inference and learning techniques can be adapted for the new language. Our experiments demonstrate that DeepProbLog supports both symbolic and subsymbolic representations and inference, 1) program induction, 2) probabilistic (logic) programming, and 3) (deep) learning from examples. To the best of our knowledge, this work is the first to propose a framework where general-purpose neural networks and expressive probabilistic-logical modeling and reasoning are integrated in a way that exploits the full expressiveness and strengths of both worlds and can be trained end-to-end based on examples. Many Machine Reading and Natural Language Understanding tasks require reading supporting text in order to answer questions. 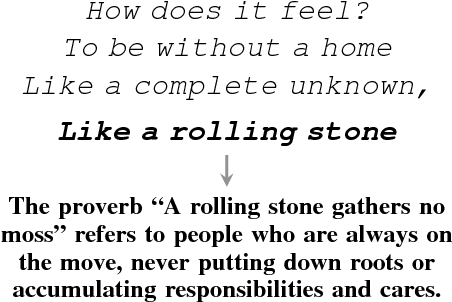 For example, in Question Answering, the supporting text can be newswire or Wikipedia articles; in Natural Language Inference, premises can be seen as the supporting text and hypotheses as questions. Providing a set of useful primitives operating in a single framework of related tasks would allow for expressive modelling, and easier model comparison and replication. To that end, we present Jack the Reader (Jack), a framework for Machine Reading that allows for quick model prototyping by component reuse, evaluation of new models on existing datasets as well as integrating new datasets and applying them on a growing set of implemented baseline models. Jack is currently supporting (but not limited to) three tasks: Question Answering, Natural Language Inference, and Link Prediction. It is developed with the aim of increasing research efficiency and code reuse.